HFO Investment Real Estate is pleased to announce the sale of Seasons at Farmington Reserve. This brand new luxury construction in Bend’s severely constrained rental market was sold for $45.5 million or $199,561 per unit. 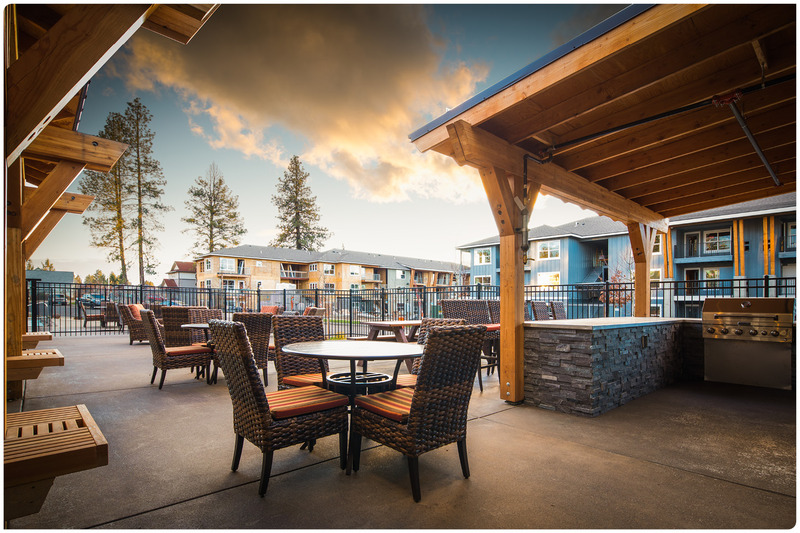 The property offers resort-style amenities just minutes from skiing, rock climbing, and entertainment and shopping in downtown Bend. The sale price was the highest sale on record for Bend and all of Deschutes County. In 2016 the city added 2,380 acres to the growth boundary but reserved 50% for schools and parks. New development is expensive and very limited. Seasons at Farmington Reserve is in Bend’s SE Old Farm District with easy access to year-round outdoor recreation. The property itself offers resort style amenities including an outdoor BBQ, 24-hour fitness center, a dog park, a heated seasonal pool, indoor and outdoor lounges, and an outdoor fire pit. Units are spacious and offer tenants the latest designer trends and amenities. Although it is located in a tertiary market, HFO was able to effectively market the property to a national pool of institutional investors. The property was sold by a prominent Oregon-based owner/developer to an investment group from out of state.